Dobrev’s dairy products are known for their excellent taste and quality. This is possible when the traditional and authentic recipes go hand in hand with high standards of production and quality raw milk. The journey of milk starts from the farm and its quality depends on the breeding of the cows. In 2016 Dobrev’s family started building their own cow farm “PALI LULA” and set their goal to produce the best milk in Bulgaria with the latest technologies in the picturesque valley of the Rila Mountains. Today the farm is already a fact and th eproduced milk is used for the products of Dobrev’s dairy. Throughout its existence ‘DOBREV’ works only with selected farms that meet the applied high standards and controls the quality of milk through samples on site and in the company laboratories. This ensures the high quality and healthy characteristics of the raw material that are controlled and analyzed along with other aspects like hygiene, lactic acid bacteria etc. DOBREV’s dairy products are made of selected high quality milk. 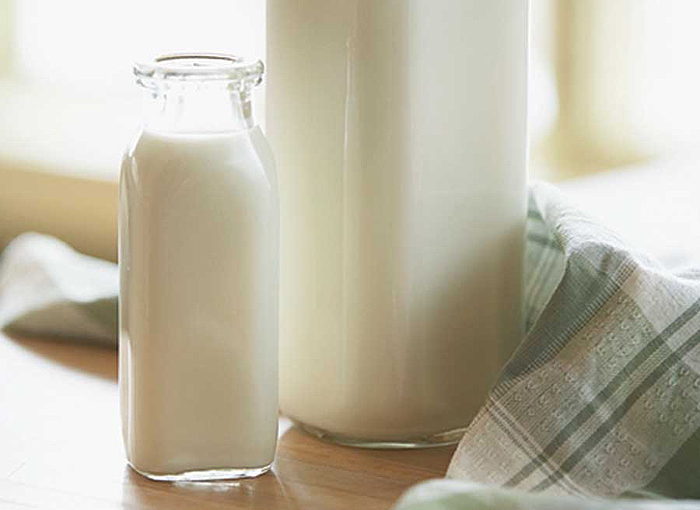 The control on milk’s characteristics and hygiene is constant – during the collection and before unload of milk as well as during the whole dairy production process. Tests, periodic inspections and precise work on recipes, technology, hygiene and quality of products guarantee that the standards of both company and institutions are met. After the production process is finalized, the dairy end products pass through a variety of microbiological and physicochemical tests and assessments for a range of parameters – condition, consistency, maturity, taste, package etc. All this ensures the high quality and excellent taste of dairy products of ‘DOBREV’. Natural and healthy, they are the right choice for your table because good food matters.